Miracles? Devine interventions? The energy of the universe creating connections? An eerie but random set of events? I witnessed an interesting merger with the sun in early July 2012, while driving near our home in Colorado Springs. 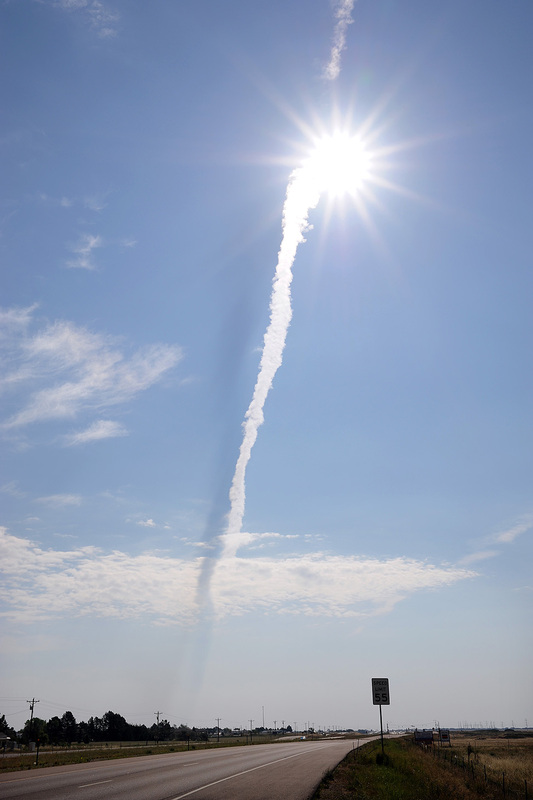 A vertical vapor trail had helped it resemble a rising star. A couple of weeks ahead of that sighting, we finalized plans to visit my wife’s sister and niece in Quebec.